How many wives does it take to fetch water? In communities with poor access to water, women often bear the burden of collecting it, but an extraordinary tradition in rural India takes this inequality to another level. Anil Cherukupalli, WaterAid India’s Media and Communications Manager, tells us about the water wives of Denganmal. How many wives does it take to fetch water? If you are from the village of Denganmal in the Indian state of Maharashtra then your answer might be two, or even three! Most men in this drought-stricken village practice polygamy of a surprising kind – they marry ‘extra’ wives solely for them to fetch water for the household, many times a day. This practice was recently highlighted in an article in Open, a weekly online current affairs and features magazine of India. Across the world, where access to water is poor it is often women who are saddled with the responsibility of collecting water. Women and girls are estimated to spend 200 million hours every single day fetching water. In addition to taking valuable time, carrying heavy loads of water over long distances several times a day leads to many health issues, most commonly neck and spinal injuries. The ‘water wives’ of Denganmal take on this hardship as part of their duties to their husband’s family. Although the village says these marriages are a social good, giving homes to the second and third wives who are usually widows or have been abandoned by their husbands, these women do not have the same rights as the ‘legitimate’ first and most senior wife. The junior wives do not have conjugal rights, nor are they eligible to inherit their husband’s property after his death. Their sole role in the household is to fetch water from a distant source. For this, they are given food, shelter and the semi-respectability of being married. This arrangement is an example of communities finding ways to adapt to extreme difficulties, and a stark reminder of how much work is still needed to ensure gender-equal, easy access to safe drinking water in India, especially in rural areas. Denganmal is about 150km from Mumbai, India’s financial powerhouse. Although a drinking water pipeline carries water all the way to the city from a dam on a river near Denganmal, the villagers do not receive a piped water supply. This asymmetric access to essential services is representative of India’s skewed development story, in which only a fortunate few, mostly in urban areas, can conveniently access clean water in a safe and sustainable way. Although the Indian government and UNDP state that the country is on-track to achieve the MDG target for sustainable access to safe drinking water, the reality on the ground tells a different story. The World Bank estimates that 21% of communicable diseases in India are related to unsafe water, and that diarrhoea causes more than 1,600 deaths every day. Even in areas where piped water is supplied most households who can afford to do not drink it directly from the tap. The water is always filtered, usually through expensive and water use-intensive reverse osmosis filters, before it is considered safe for drinking. But again, such treatment varies widely across India. The 69th round of The National Sample Survey of India in 2012 found that only 1.7% of households in rural areas of Uttar Pradesh, 2.2% in Bihar and 6.6% in rural Haryana treat drinking water by boiling, filtering or use of chemicals and electrifiers. India’s safe water situation was brought into sharp focus for me recently when I visited one of WaterAid India’s project sites in Delhi. Safeda Basti is a slum in East Delhi in which WaterAid India, through its partner CURE India (Center for Urban and Regional Excellence, India), is supporting construction of household toilets and sustainable sewage disposal systems. There I met Pushpa, an inspiring lady who brought up her three children single-handedly after her husband left her many years ago. She told me that when there was no piped water supply in the slum she and other women had to walk long distances every day to get water, or depend on visits from water tankers around which fights would erupt. Now, the slum has a piped water supply from the municipality; but, being the last point on the pipeline in that area, Pushpa and other residents of the slum still have an erratic supply and often even foul-smelling water. The problems that Pushpa and the women of Denganmal face might be on different levels, but ultimately they come down to a problem of access – access to a safe and sustainable source of piped water that is available on premises. According to JMP data from 2014, this covers only 14% of rural households in India in 2012 compared with 51% of urban households.There is hope, though. WaterAid’s work shows that when women are involved in decision making on water and sanitation their lives change for the better. We empower women to take on leadership roles in community decision-making bodies, make them aware of the services they are entitled to, involve them when decisions are made on constructing facilities, and, if they are in a leadership role, sensitise them about the importance of taking an integrated approach to WASH. Through this involvement they gain confidence, can suggest practical solutions based on their experience, find more time for education and livelihood opportunities and, ultimately, positively influence their communities. Until women are involved, the water wives of Denganmal and other women in India and elsewhere will continue to shoulder the terrible unequal burden of ensuring water availability for their families every day, and go on suffering the economic, health and cultural consequences. Anil Cherukupalli is Media and Communications Manager at WaterAid India. He tweets as @anilcheruk. Taking SATs, GCSEs, A-levels or university exams this spring? You might be shocked to hear that research shows having a diagnosis of asthma is a risk factor in dropping a grade between mock and final exams. Plus, if you’re one of the four in five people with asthma who also have hay fever, evidence shows that hay fever can affect your concentration and work productivity too. Stop asthma and hay fever symptoms getting in the way of revision and exam performance – and do yourself proud. Use this simple checklist to avoid the asthma grade drop, and protect yourself from pollen. Take all your asthma medicines exactly as prescribed. Managing your asthma well is the best way of reducing the risk of pollen making your asthma symptoms worse. Check your preventer inhaler and nasal spray technique. A little tweak could cut your symptoms even more by making sure you getting the right amount of medicines. Know the signs that your asthma is getting worse and what to do about it, by filling in or updating your written asthma action plan. Get the right hay fever medicines prescribed or over the counter. You can prevent as well as relieve symptoms if you take your hay fever medicine two weeks before the pollen that affects you comes into season (remember tree pollen can start as early as February). This could include nasal steroids, anti-histamines or anti-inflammatory eye-drops; so ask your pharmacist or GP which treatment(s) are right for you. Tell your teacher(s) or professor(s) you have hay fever as well as asthma. Explain how the hay fever can trigger asthma symptoms, especially on high pollen count days which often hit during exam season. Why? Write to the exam board on your behalf in case your condition can be taken into account when they mark your paper. Make sure you’re given a desk away from any open windows, especially if you have an exam in the early morning or late afternoon because pollen counts are usually high then. If your hay fever sometimes triggers severe asthma symptoms even when you’re taking your medicine as prescribed, speak to your GP about keeping a ‘rescue’ course of oral steroids (prednisolone) at home just in case. If you take this rescue course, you then need to take a break from revising and make an urgent appointment to see your GP or asthma nurse straight away. Keep using your medicines for hay fever to prevent symptoms. Or, if your pollen allergy has already kicked in, stick with the hay fever treatment even if your symptoms don’t improve straight away as sometimes it can take a while to make a difference. Keep taking your medicines for asthma and hay fever even if your symptoms improve. This means is that your medicines are working – and so can you! Keep an eye on the pollen forecast by following us on Twitter. If you notice that your asthma symptoms are worse when the pollen count is high, ask your GP or asthma nurse to assess your treatment. There’s more info about pollen and hay fever here. Pack an ‘exam kit’ – reliever inhaler, tissues and an unlabelled bottle of water to make sure you’re hydrated – to keep on your desk. On the way to the exam, wear wraparound sunglasses to stop pollen getting in your eyes. Splash your eyes with cold water before going into the exam room. Even if you’re revising an important topic, you’re about to go into an exam hall or you’re in the middle of an exam, don’t worry about your results or about disturbing your friends. You’re having an asthma attack and you need to ask someone to call an ambulance if…. Kay Boycott, Chief Executive of Asthma UK, says: “Two thirds of people with asthma find that air pollution makes their asthma worse, putting them at an increased risk of a potentially fatal asthma attack. When air pollution is high it’s vital people with respiratory conditions including asthma check air pollution forecasts, carry their reliever inhaler with them at all times, and ensure that they are taking their preventer inhaler every day because this will help build resilience to asthma triggers like air pollution. or shopping in congested areas. 29% of people with asthma have told us that a reduction in air pollution is the single thing that would make the most difference to their quality of life. 85% of people with asthma have told us that they are concerned about the effect that increasing traffic fumes will have on their and their family’s health in the future. Researchers based at the MRC Asthma UK Centre for Allergic Mechanisms of Asthma are currently conducting research into the effects of pollution on children’s lungs; and also looking at the interaction of vitamin D deficiency and particulate matter air pollution during severe asthma attacks. The MRC Asthma UK Centre for Allergic Mechanisms of Asthma is also a key partner in the EXHALE study, led by air pollution expert Professor Frank Kelly. Hawa washes her one-year-old son Roukiatou at home, Nabitenga, Burkina Faso. In the village of Nabitenga, Burkina Faso, Hawa’s nearest source of water is a milky pond filled with insects and small frogs. Four times a day, she walks to this dirty hole in the ground to collect just enough water for her, her seven children, and all her animals too. As if this situation wasn’t desperate enough, in the dry season, even this water source dries up. In these months, she has no choice but to walk to a water pump so far from home the trip can take the best part of a day. “The period I dread most is the hot season. We don’t have enough water for our needs,” she says. The lack of safe water during the dry season affects all aspects of the villagers’ lives. Not just their health but also their livelihoods. People like Hawa and her husband Inoussa are faced with the stark choice of keeping their animals alive or giving water to their children. When their animals die, one of their main sources of income is gone, leaving them less money to buy essential items like medicine. cheap car rental . Many members of the community wish they could grow vegetables to eat and sell, but they don’t have enough water. 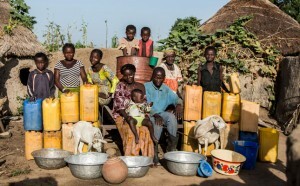 Hawa with her family and livestock, and the water containers she must fill every day. With your help, we can support remote communities in Burkina Faso to take control of their water – and their future. Your support via payroll giving could help us make sure people like Hawa have enough clean water 365 days a year. Not just to keep themselves and their children healthy but to really prosper. Smoking is the leading preventable cause of cancer worldwide. But today is National No Smoking day, and a time to focus on quitting. We know quitting can be hard but there are many things out there to help, like the NHS Stop Smoking Services – the most effective way to quit. For inspiration we talked to Gower Tan, a father of two from Dulwich who works in business design, to share his story about how he kicked his habit. “I started smoking when I was 13 and spent the next 27 years trying to stop,” he said. “It took many attempts to stop smoking. I was constantly thinking about when I could have my next cigarette. Each time I quit, I’d look for any excuse to start again – ‘I’ve had a stressful’ day or ‘just one will be OK’ ”. But in 2003 Gower’s father died of lung cancer, at 66 years old. Soon after his father’s death Gower became a Cancer Research UK supporter, raising funds for our pioneering research. But he still struggled for several more years to quit. 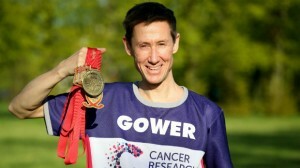 So in 2010, when Gower turned 40 he set out on an ambitious mission: he wasn’t just going to quit smoking, he was also going to run the London Marathon and raise £2000 for Cancer Research UK. His brother recommended a stop smoking clinic and after visiting it he gave up cigarettes for good. Gower stopped smoking, got fit and completed the marathon in 2010, raising way more than his £2000 target. He has since completed three more London Marathon’s raising over £15,000 for Cancer Research UK. Gower is now a Campaigns Ambassador for us and a strong supporter of standardised cigarette packaging. “The standardised packaging campaign hugely resonated with me. My father died from lung cancer after smoking most of his life, I smoked from 13 to 40 years old and I have a 14 year old daughter and a nine year old son who I want to protect from this. “When I then learned that over 150,000 11-15 year old children start smoking each year in the UK, I was compelled to do something. “I became angry that my smoking habit was not my choice as an adult, but an addiction I developed as a 13 year-old-child. With two-thirds of smokers starting before they are 18 – and killing at least one in two long-term users, anything that can be done to stop children taking up this deadly addiction must be done. This year Gower plans to run the marathon again – for a truly heroic fifth time, and will be going one step further – running in a giant trainer costume, the official Cancer Research UK mascot ‘Shoe Barker’. 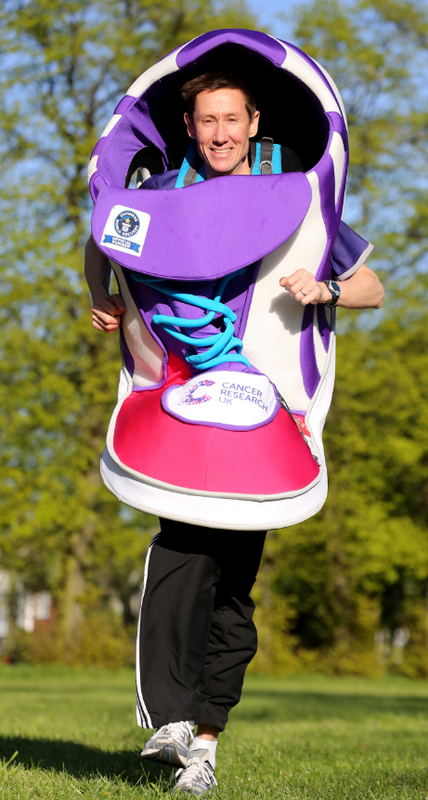 He hopes to set a new Guinness World record for the ‘fastest marathon in a giant shoe’. “I wanted to do something a bit different, both to support my fundraising and also to attract publicity for the amazing work Cancer Research UK does. Training in my giant shoe, both at home in London and in Atlanta has certainly turned a few heads, many cheers and high fives. Every year 81,000 cancer cases could be prevented if everyone in the UK were a healthy weight, ate a healthy diet, and were regularly physically active, World Cancer Research Fund estimates. That’s 81,000 people who could potentially be saved from hearing a doctor say those dreaded words: ‘You’ve got cancer’. That’s 81,000 people, and their families, who could be spared the misery that cancer inflicts. Cancer is a global epidemic, a problem that the World Health Organization warns we will not be able to treat our way out of. There are currently two million people living in the UK who have survived a cancer diagnosis – that’s almost equivalent to the population of Greater Manchester with recent estimates predicting the figure could go even higher, to 2.5 million people. It is essential that prevention be at the heart of our government’s approach to stemming the tide of preventable cancers. This is why we support Cancer: 2 Million Reasons, a campaign urging UK political parties to take a stand on cancer and to understand that there are two million reasons for the next government to make cancer a priority. In January the campaign focuses on cancer prevention. Each week we will be releasing statistics about how many cancer cases could be prevented, and introducing some of our supporters who are helping us work towards a world free from preventable cancer. About a third (32 per cent) of the most common cancers could be prevented in the UK if everyone followed our cancer preventionrecommendations. By following these simple tips, we could help reduce the risk of cancer. Our cancer prevention work is supported by one of our fundraisers, and breast cancer survivor, Ros Oxley. The mother-of-three was diagnosed with breast cancer in November 2013. Within a year Ros had undergone months of treatment and had the strength to complete a 3km fun run to raise money for World Cancer Research Fund. The senior manager, who completed her charity challenge without wearing her wig for the first time in front of her colleagues, said that knowing that she could help vital research into cancer prevention spurred her on. Ros says: “I know how stressful and painful this disease can be, and I want to help as many people as possible reduce their risk of developing it if they can. It is time we all took action to help protect ourselves and prevent the misery cancer causes. Together we can help reduce the number of people who develop preventable cancer, and help people live happier, healthier, cancer-free futures. Cancer deaths in children and young people have fallen by 58 per cent in the past 40 years, according to new figures announced by Cancer Research UK today. Progress in treating the disease has led to this unprecedented drop among youngsters aged 24 and under, with around 1,300 deaths each year in the mid-1970s dropping to around 550 deaths today. The steepest decline was in leukaemia, where the average number of deaths dropped by 39 per cent in the past 10 years, falling from around 180 deaths each year to around 110. Despite this, cancer remains the biggest killer of children and young people in the UK, with around 550 young lives lost to the disease every year, many from brain tumours. Despite improvements in survival, cancer has a huge impact on youngsters. Children can face months of painful treatment, as well as the upset of being away from home and friends and unfortunately some face living with long-term side-effects from their treatment, such as infertility, and disability, which have an impact throughout their adult lives. The new figures are announced as the charity launches Cancer ResearchUK Kids & Teens – an ongoing campaign to fund more research to find better, kinder treatments and cures to beat cancer in younger people sooner. Fiona Barnett from Wimbledon, whose son Rufus was diagnosed with leukaemia aged six and attended a reception hosted by Samantha Cameron at 10 Downing Street this week to launch the campaign, said: “When they told me it was leukaemia my first question was ‘is he going to die?’ Treatment started immediately and over the course of that first year Rufus had to endure seemingly nonstop lumbar punctures, injections and general anaesthetics, not to mention infections, horrible medicines and hideous side-effects. It felt like it would never end, but one year after diagnosis we were so relieved to hear that Rufus was responding well, which indicated that he had a very good chance of complete recovery. 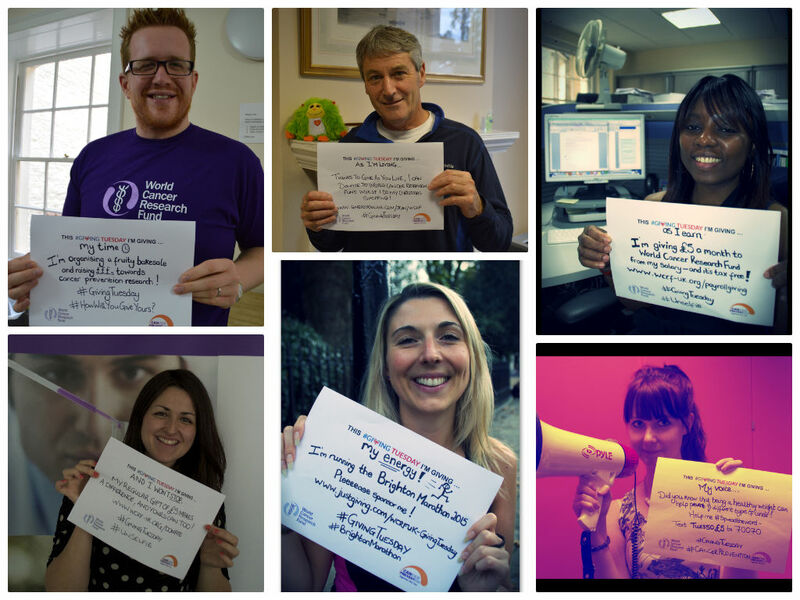 Around 1,600 children and a further 2,200 teenagers and young adults are diagnosed with cancer every year in the UK. Overall ten-year survival for cancer in children aged 14 and under has almost tripled since the 1960s, with around three quarters of children with cancer now cured. But survival is significantly lower in teenagers and young adults than in children, for several cancer types. Harpal Kumar, Cancer Research UK’s chief executive, said: “Cancer causes more deaths among children and young people than any other disease in the UK, so it’s hugely encouraging to see that death toll now falling steadily. But as the largest funder of research into children’s cancers in the UK, we will keep going until no young lives are lost to cancer. These mortality data were compiled by the Statistical Information Team at Cancer Research UK using data from the Office for National Statistics and the regional cancer registries in Wales, Scotland and Northern Ireland using the latest data for 2012. For more information please contact the press office. Thanks to an ageing population and better diagnosis and treatment, 2015 will see an unprecedented number of people living with cancer, according to Macmillan Cancer Support (link is external). The charity says that an estimated 2.5 million people will be living with the condition in the UK in 2015. The figure, drawn from an analysis (link is external) published in 2012, is nearly half a million higher than five years previously. As a result, charities are calling on the UK’s political parties to make fresh commitments to support those with the disease. Nick Ormiston-Smith, Cancer Research UK’s head of statistical information, highlighted that the number of cancer cases will increase as the UK population ages. He added that “research has also led to improvements in survival so more people are living longer following a cancer diagnosis”. “It’s essential that the next government increases investment in the NHS, particularly in diagnostics and treatments, so our cancer services are fit to deal with the increasing demand of an ageing population and can ensure the best possible results for patients”, he added. Lynda Thomas, Macmillan’s chief executive, welcomed the news, but stressed that “progress is a double-edged sword”. “As numbers surge, the NHS will soon be unable to cope with the huge increase in demand for health services,” she added, warning of a “cancer crisis of unmanageable proportions” if all political parties do not commit to making cancer care a priority. As the political parties begin their unofficial General Election campaigns, Macmillan is urging them to pledge in their manifestos to boost UK cancer survival further, and match the best in Europe. It calls for the “highest levels of dignity and respect” to be paid to all cancer patients and improved end-of-life care. A Department of Health (link is external) spokesman said that cancer survival is now at its highest ever level in England. “The NHS is rising to the challenge this presents and is seeing 51% more patients with suspected cancer than 2010, offering cutting-edge drugs through the cancer drugs fund, focusing on high quality compassionate care as never before, and working to introduce a personalised recovery care package for every patient,” he said. Almost 40 per cent of people who have abnormal results from bowel cancer screening tests and are referred for further investigation ignore their next screening invitation two years later, according to a Cancer Research UK study (link is external)* published today in the British Journal of Cancer (link is external). In contrast, just 13 per cent of those who had a normal result did not continue with screening. People who receive an abnormal result from the test – called the Faecal Occult Blood test (FOBt)** – are referred for follow up tests including a colonoscopy to rule out a cancer diagnosis but could be at risk if they fail to continue with bowel cancer screening. The team, from the Health Behaviour Research Centre at University College London (link is external) (UCL), previously found*** that 11 – 12 per cent of those referred for further investigations do not attend the appointments for this. The Cancer Research UK team looked at almost 40,000 people’s behaviour to find out if their experience of bowel cancer screening affected the likelihood of doing the same test two years later. The NHS Bowel Screening Programme (link is external) aims to detect bowel cancer at an early stage – before people have obvious symptoms and when treatment is much more likely to be successful. The test picks up blood in stool samples which can be a symptom of bowel cancer. When blood is detected people are invited for a colonoscopy and if cancer is diagnosed treatment can begin as soon as possible to maximise the chances of survival. Men and women aged 60 – 74 in England, Wales and Northern Ireland, and 50 – 74 in Scotland, are sent an invitation letter and then a home screening kit every two years****. Father-of-two John Marsh, 67, from London was diagnosed with bowel cancer in 2007. He said: “It was thanks to the bowel cancer screening programme that my cancer was found at an early stage. I’d had no symptoms at all but a month after my 60th birthday, I got a screening test in the post. I’d never heard of it, but I did it straightaway. I didn’t have a second thought about doing it. “After doing the test I got a letter asking me to do the test again and then I was called for a colonoscopy. I saw the consultant and he confirmed it was bowel cancer. I had surgery in the March but I didn’t need chemotherapy. I’ve had three colonoscopies since then and they’ve all been clear. Bowel cancer accounts for 13 per cent of cancers diagnosed in the UK, with more than 41,000 people diagnosed with bowel cancer each year. It kills over 16,000 people each year. Julie Sharp, head of health information at Cancer Research UK, said: “Bowel cancer is the fourth most common cancer and screening is important to help us beat the disease. 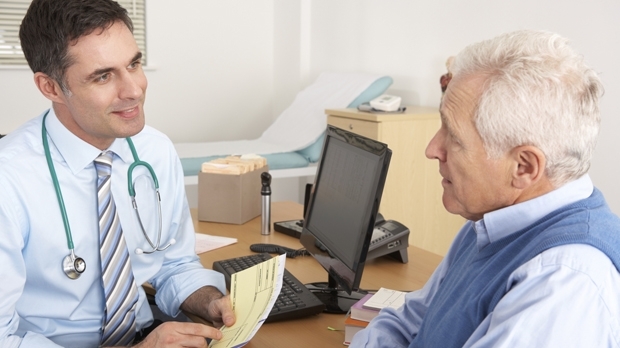 Only 58 per cent of people who are offered bowel screening in England complete their testing kits, and it’s a concern to see that people who have abnormal results are dropping out of the screening programme. ** The Faecal Occult Blood test (FOBt) looks for hidden traces of blood in your stools, which can be a sign of bowel cancer. *** Lo et al. Colorectal cancer screening uptake over three biennial invitation rounds in the English bowel cancer screening programme. Gut. DOI: 10.1136/gutjnl-2013-306144. **** In England men and women aged between 60 and 69 years old take part, and this is being extended to include people up to the age of 74. Currently, people older than the age range can request a screening kit. In Wales and Northern Ireland the programme covers men and women aged between 60 and 74. In Scotland the programme screens people aged between 50 and 74 years. How will YOU Give yours on #GivingTuesday? You must have heard of them – those fundraising campaigns that not only raise millions, but also capture the public imagination. Movember, #NoMakeUpSelfies, Ice Bucket Challenges and Wear it Pink for Breast Cancer, are just a few of these campaigns that have dominated the headlines and “social mediaverse” in the past year. This year World Cancer Research Fund UK is part of the global movement, #GivingTuesday, which will launch on Tuesday, December 2, to kick-start giving in the festive season. #GivingTuesday brings together large corporations, small businesses, charities and the public to do charitable things – on the ground, online and everywhere in between! In the week leading up to #GivingTuesday, we’re asking ‘How will you Give yours?’ Luckily, giving can take so many forms – it could be making a donation, signing up to one of our fantastic challenge events, volunteering your time, or simply spreading the word about cancer prevention. It’s through this type of giving you can help us empower more people to a healthier, cancer-free future and keep loved ones together for longer. 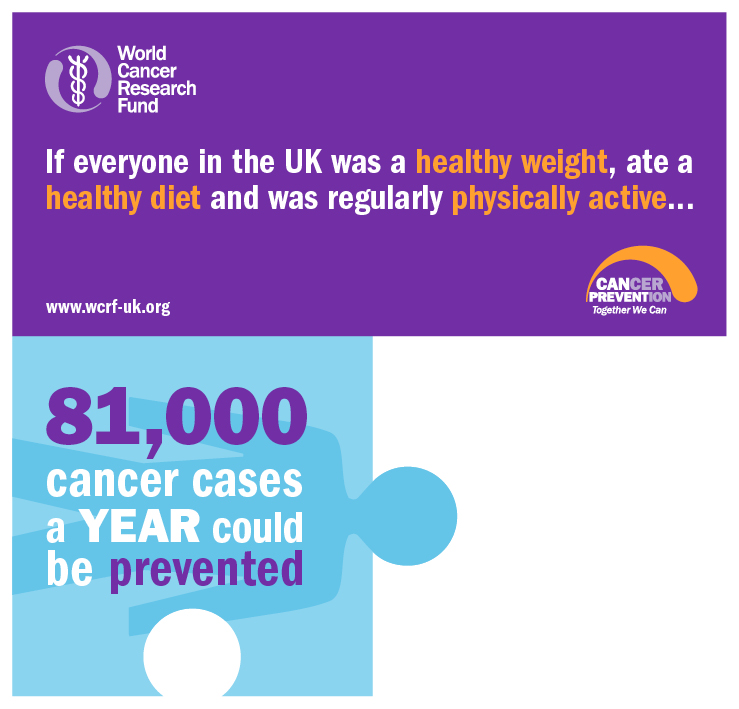 World Cancer Research Fund UK supports and funds the latest scientific research on cancer prevention related to diet, weight and physical activity and translates it into practical, easy-to-use tools and advice that can help people reduce their risk. Almost all of us are affected in one or another by cancer, but we are not powerless; about a third of the most common cancers can be prevented through a healthy diet, weight management and physical activity. You can be an office hero while sitting at your desk and donating to support our work through your payroll! Its quick and easy to set up and regular donations such as this help us plan our spending more effectively for the future, and are vital to our cancer prevention research programmes. With your continued support we can help prevent cancer together.